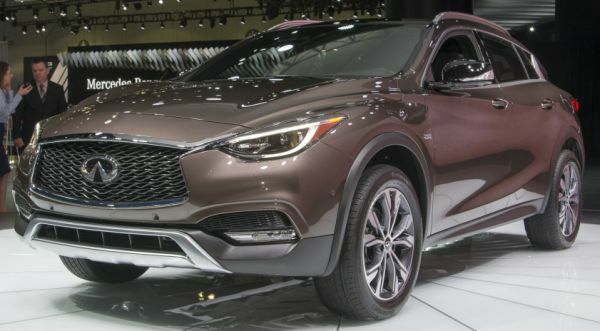 Despite not having too many new models out there, Infiniti set out to become one of the more premium car manufacturers on the US market and one of their first steps are the two compact cars, the Q30 and its four wheel drive counterpart, the QX30. Both of these cars use the same platform as the all new Mercedes A-Class which is a bit unusual for a Japanese manufacturer. This is because Mercedes teamed up with Infiniti, Renault and Nissan and they now share technology between them. 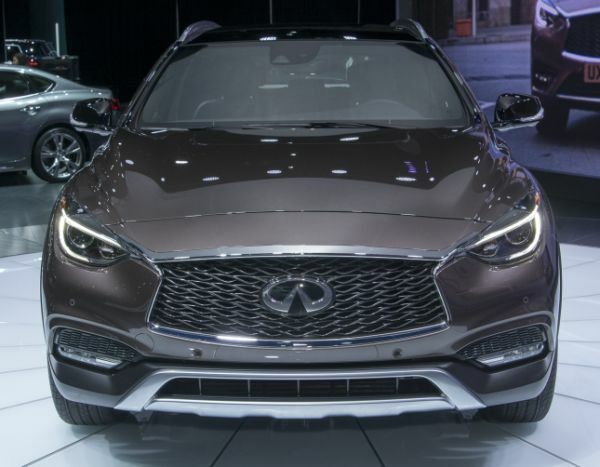 The 2017 Infiniti QX30 has just been released at the Los Angeles Auto Show and while it may not be the prettiest or even the most powerful car out there, it is meant to become a true driver’s car with better than average handling characteristics and a unique look. We agree with the second part for now and we shall see if the car will be just as good as it looks. The price has not been set just yet but take into account that for the first year, the QX30 will be built in the United Kingdom and only starting with 2017 the car will be built in North America. 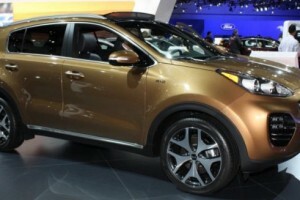 We expect prices to start at around $35,000 which is around $2,500 more than its sibling, the GLA. 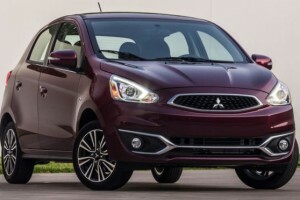 This is because it will be imported from England at first and the car will come with a lot more features than its close sibling. 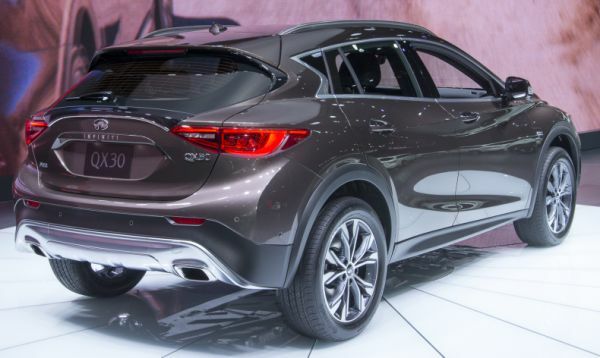 The design of the 2017 Infiniti QX30 is quite special and while it may not win any prizes, it is a well balanced looking car. The front end has the usual Infiniti grille with the slim headlights and large air intakes as well as a small bumper lip and lines that flow all the way to the back. 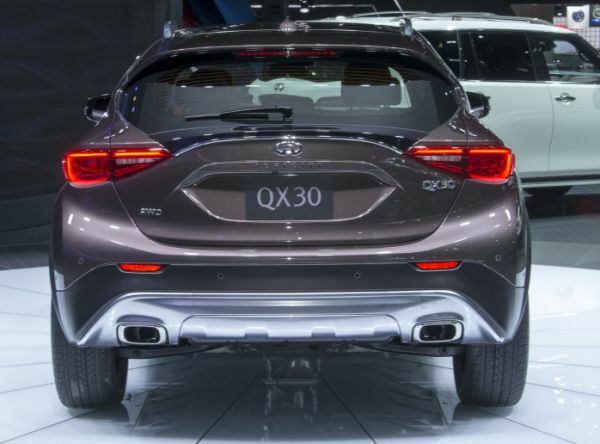 From the side the QX30 looks a lot like a hot-hatchback with a low roof and an unusual shape for the glass. The back is a bit more conservative and it does resemble the GLA a bit. 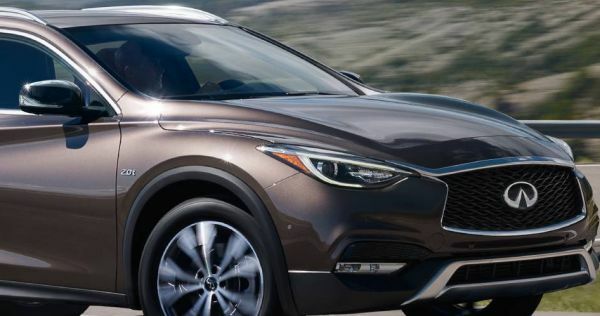 Unlike the Q30, the QX30 is a bit taller, it comes with longitudinal roof bars as well as large black plastic wheel arches which house much wider wheels than usual. 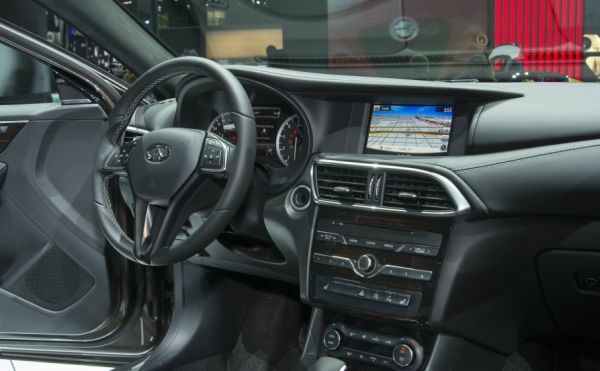 The interior is pretty much identical to that of its close sibling, the Q30. Unlike its exterior which does look futuristic, the interior is more mature with a lot of clean lines to it. The dashboard looks simple with a large screen at the top of the center console while the instrument cluster has two large analogue dials as well as a small LCD screen in the middle. There are more buttons than we like but everything is laid out nicely and despite not costing more than its competitors, it comes with leather wrapped steering wheel, dashboard and seats and all the inside trimmings do feel like quality items. 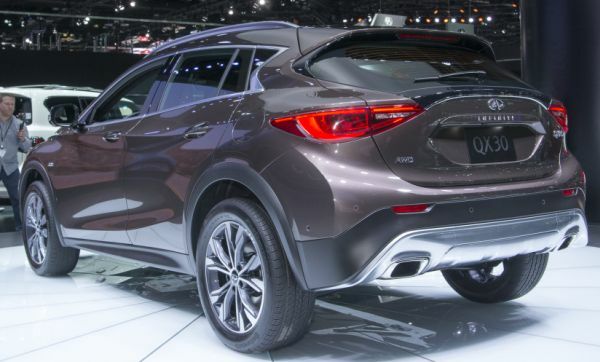 Engine wise, the 2017 Infiniti QX30 will be available at launch with a single engine choice and later down the road it should receive a couple more. 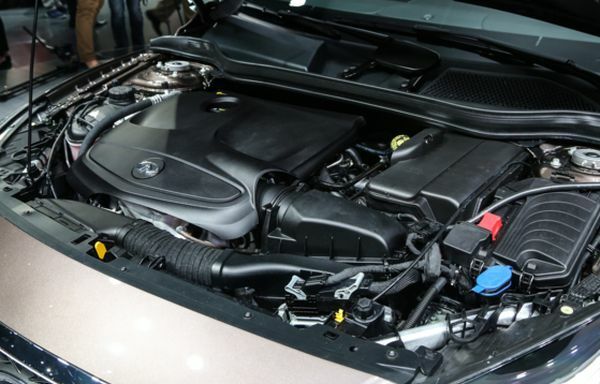 The engine offered at launch will be a Mercedes-supplied 2 liter turbocharged inline 4 petrol unit which will provide 208 horsepower and 258 lb-ft of torque which does not sound much on paper but Infiniti and Mercedes decided that it is best for their cars to have a lot of low-end torque which is more usable on a daily basis. 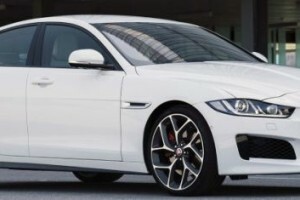 The engine will only be mated to a 7 speed dual-clutch automatic which will send the power to a standard all wheel drive system. 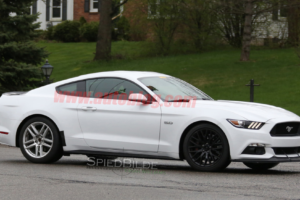 This will be able to send as much as 50% of the torque to the rear wheels. 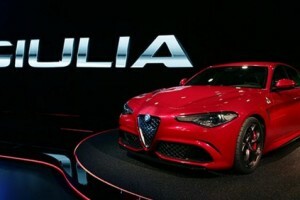 Later down the road the car should also receive a high performance version as well as a diesel, the latter for the European market.